15 April 2006 How often is the database updated? 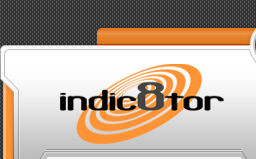 The Indic8tor database is updated at least once each week, the date of the latest update is on the homepage. Restart your computer Connect BOTH serial and USB leads Run the Indic8tor download software program. Check selector Switch on Indic8tor is in D/L Position Check Both Serial & USB connectors are plugged in to your computer. Plug download lead into Indic8tor Plug power lead into Indic8tor Indic8tor display will NOT illuminate in D/L (Programming) Mode. Enter Member ID & Password Click Log In and Update Button. IT IS VERY IMPORTANT THAT YOU FOLLOW THE ABOVE INSTRUCTIONS IN THE SAME ORDER. You may need to temporarily disable the firewall on your computer. 25 November 2005 Where can I find the software needed to download the latest Database Locations.